Ms. Savannah Mae Farrington, age 81 of Apt. 100 Powell Place, Pittsboro, NC passed on Monday, April 8, 2019 at UNC Hospitals, Chapel Hill, NC. 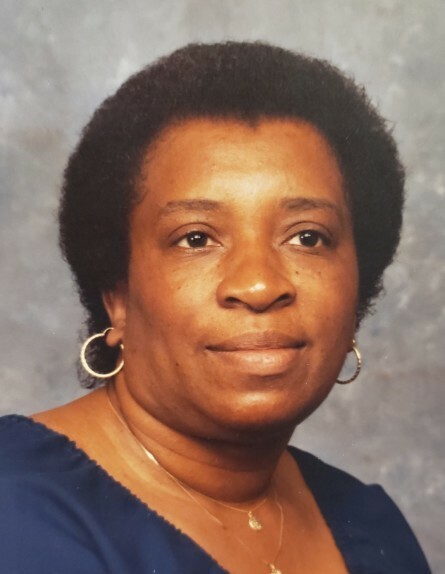 Savannah Mae farrington daughter of the late Ezekiel Farrington and Clara Lee Farrington was born on October 25, 1937 in Chatham County, North Carolina and departed this life on Monday, April 8, 2019. At an early age she attended Mitchell Chapel A.M.E. Zion Church in Pittsboro, North Carolina. She received her education in Chatham County School System. She owned a cleaning business until her retirement. Savannah accepted our Lord and Savior Jesus Christ at a very early age. She loved reading the Bible. Her favorite hobbies were attending tag sales and yard sales. Savannah was one of twelve children. She was preceded in death by her parents and four siblings, Milton Lee Farrington, William Billy Farrington, Flora Farrington Marsh and Richard Alvis Farrington. She leaves to cherish her memories are her beloved son, Donald Farrington; siblings, Sue Farrington of Chapel Hill, NC; Carol Painter (Jim) of Durham, NC; Lillie Baldwin (Fred) of Chapel Hill, NC; Helen Walcott of Chapel Hill, NC; Ezekiel Farrington, Jr. (Inez) of Chapel Hill, NC; Edward Farrington of Chapel Hill, NC; Annette Gunter (Robert) of Moncure, NC; a special friend and a host of neices, nephews other relatives and friends.